Oops - we don't appear to have a video for the DocuMate 3115. 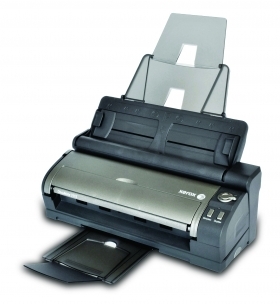 The DocuMate 3115 has all the features you expect in a powerful desktop scanner without sacrificing mobility. At the push of a button, the DocuMate 3115 ejects from its docking station to become a full function mobile scanner with USB-powered operation. Whether scanning contracts, forms, receipts, photos, ID cards, handwritten notes or virtually any document of varying size or complexity, the DocuMate 3115 does its job so you can do yours.